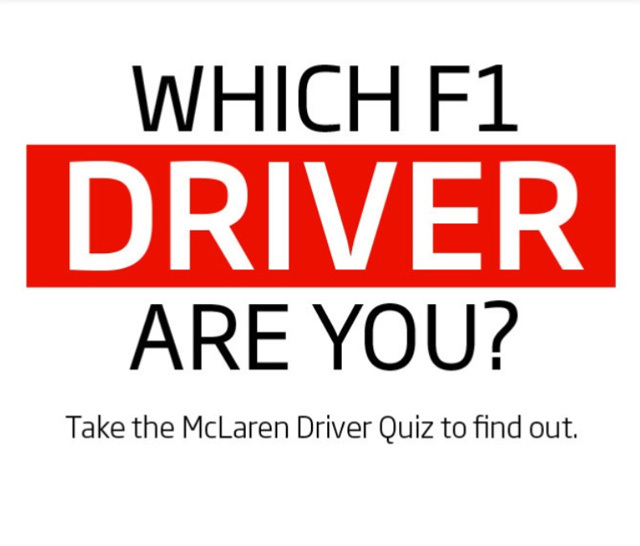 Hype Quiz: Which McLaren F1 Driver Are You? Which McLaren F1 driver best matches your personality? Are you a devil may care, womanizing, raw talent like James Hunt? A devout man with aspirations of using your spotlight to uplift the social plights of your people like the great Ayrton Senna? Are you methodical with a great respect for scientific and technical data to improve performance like Niki Lauda? If you are seek the answers to this question McLaren has a quiz to help you out. Simply complete the 10 question “personality” quiz and based on your answers they will deduce which past McLaren driver you are most like. Who did I get? Apparently, I am most like Emerson Fittipaldi. I’ll take that… If you want to know your F1 driver then CLICK HERE to be taken to the quiz or hit the source link below.